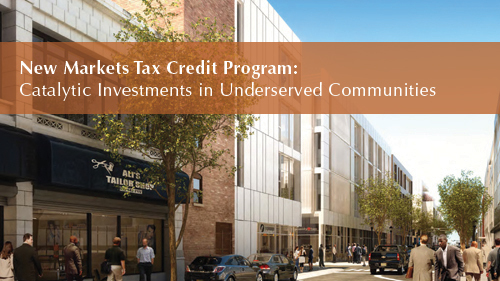 Our catalytic New Market Tax Credits projects spur growth in distressed communities and support partner CDFI Banks. The National Community Investment Fund (NCIF) has created its 3-Way Strategy to generate long term, sustainable change in low-and moderate-income markets nationally. In this strategy, NCIF partners with the NCIF Network – which is a national network of CDFI and Minority Banks, Minority CDEs, other CDFIs, and major Investors. Together, we foster job creation, increase access to financial products and services, and enable an environment that creates greater opportunity for the underserved. Local oneCity Strategy:NCIF will focus a part of its available NMTC allocation to focus on one or more cities with the goal of reducing the persistence of a Tale of Two Cities.1. Initial focus will be on the City of Chicago. Catalyze small business lending:NCIF will bring the program to small businesses that typically need $1-2 million of funding but have hitherto been neglected dues to transaction costs. NCIF will work with customers of NCIF Network partners to support such customers. Must be willing to be recognized as NCIF Partners in internal and external communications. 1 While gains have been made due to community development investments, many cities in the country continue to have significant disparities of income and wealth within the city boundaries – we call it the (unfortunate) Tale of Two Cities. We would like to invest our NMTC allocations in a focused manner to contribute to the reduction in persistence of these trends.